At Waterfront Gourmet Café & Deli you can find a variety of unique catering options to suit your needs, no matter how many mouths you need to feed. 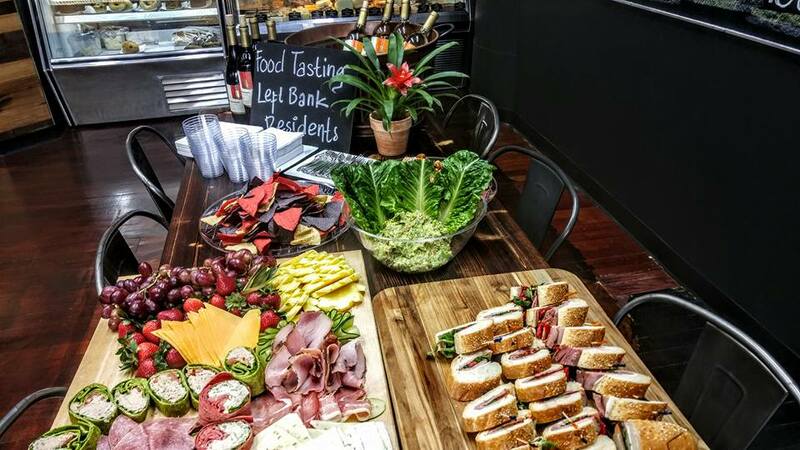 Catering is a perfect option for business & office events. We offer assorted vegetable trays and club sandwich trays. Whichever one you prefer, we can create it and have it ready for delivery in just a few hours prior to your event! For those who enjoy their meat, our club sandwich trays include tuna, turkey, roast beef and chicken salad on an assortment of bread. For those who are health conscious, we make very affordable vegetable trays, fruit trays or salad trays to offer your guests and attendees. Feel confident that you can provide a healthy and delicious alternative to meat-based sandwiches. For breakfast, consider a tray of assorted bagels, cream cheese, Danishes or scones for an early morning meal to fuel the busy workday. Our breakfast and lunch catering is available to offices and businesses in the Downtown Philadelphia area. Delivery can be arranged at your convenience in just a few hours notice. If you have any questions, please don’t hesitate to contact us at any time. We’d be happy to discuss our food menu, catering options and pricing.